This watercolour painting by Penny Silverthorne shows a delicate blue butterfly. The picture will delight adults and children alike. 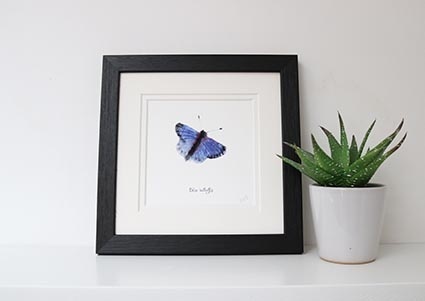 A giclee print of a Blue butterfly in an off white double mount and a black frame measuring 21 cm square.